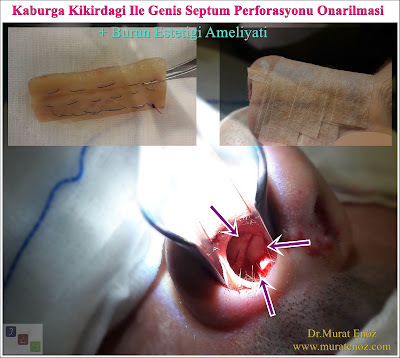 Septal holes (hole formation in the nose, hole in the nasal wall, perforation of the nasal septum), there is a hole in the septum separating the nasal cavity in two. Especially those larger than 2 cm in diameter are called "large septum perforations" or "large septum perforations" and are a challenge that the ear, nose and throat specialists face with difficulties. In fact, for septum perforation therapy (nasal cartilage puncture treatment), the cause of this condition (often iatrogenic, that is, it may be due to nasal surgery or it may be idiopathic) should be determined and the most appropriate surgical treatment should be selected. 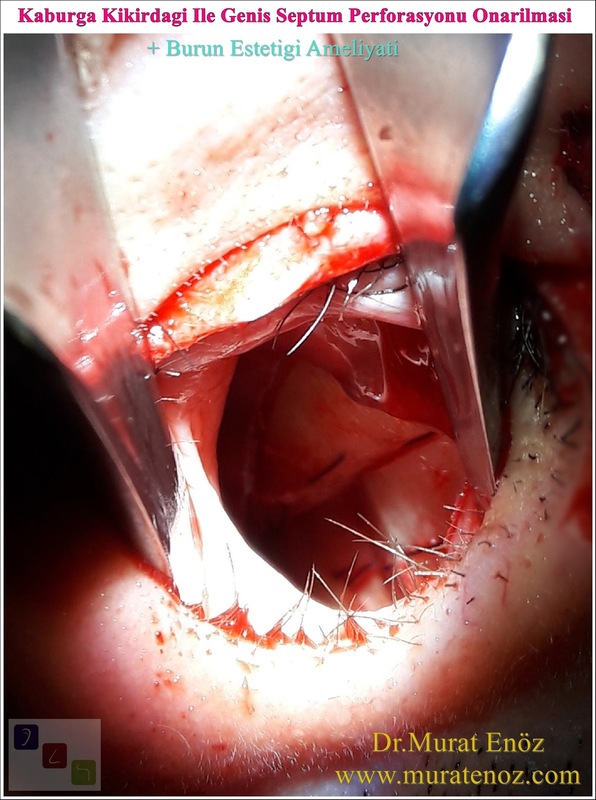 All surgical procedures aimed at repairing nasal septal perforations are based on two main principles: using the mucosal, mucopericondrial and / or mucoperiosteal flaps in the nasal cavity or using autografts containing connective tissue. 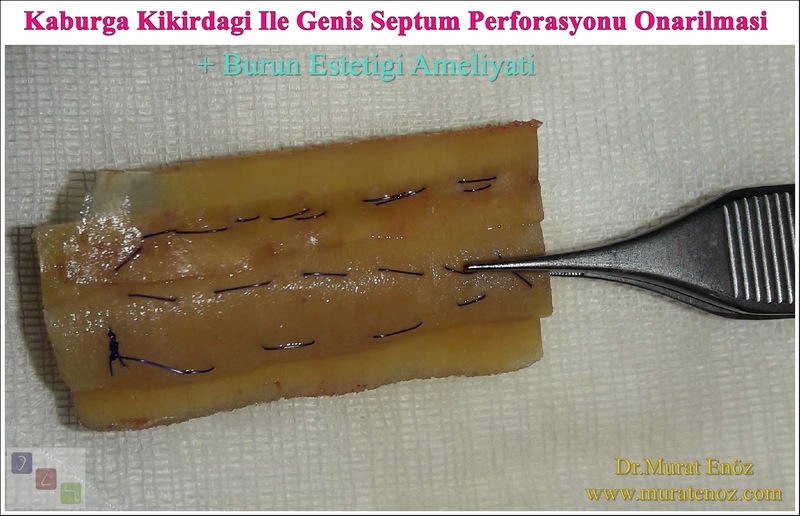 Doctors who perform septum perforation surgery can perform surgical repair of septal perforation using "closed technique" or "open technique". 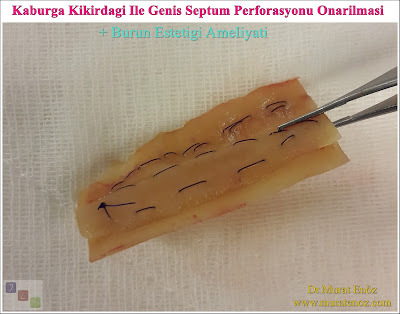 The advantage of the first is that it does not leave any external scars. 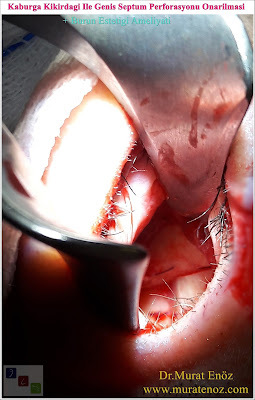 However, disadvantages associated with difficulty associated with a narrow surgical field may be encountered. Most surgeons prefer the "open" technique because they offer a larger operating area, superior perforation (especially in large and / or posterior perforations), and better access to posterior margins and binocular vision. 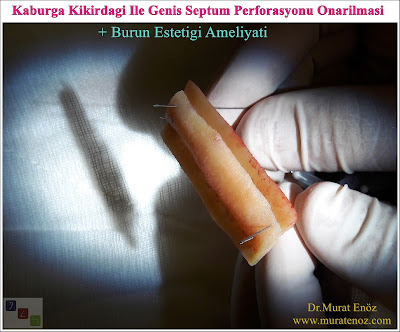 Septum perforation usually results in air escape between the nasal cavities in the nose and hyperventilation resulting in accelerated airflow. 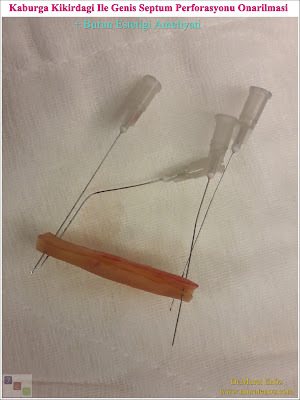 Patients usually go to see a specialist when signs such as crusting, nosebleeds, odor disorders occur or when symptoms develop that may disrupt nasal breathing. However, septal perforations can also be detected during routine examination. 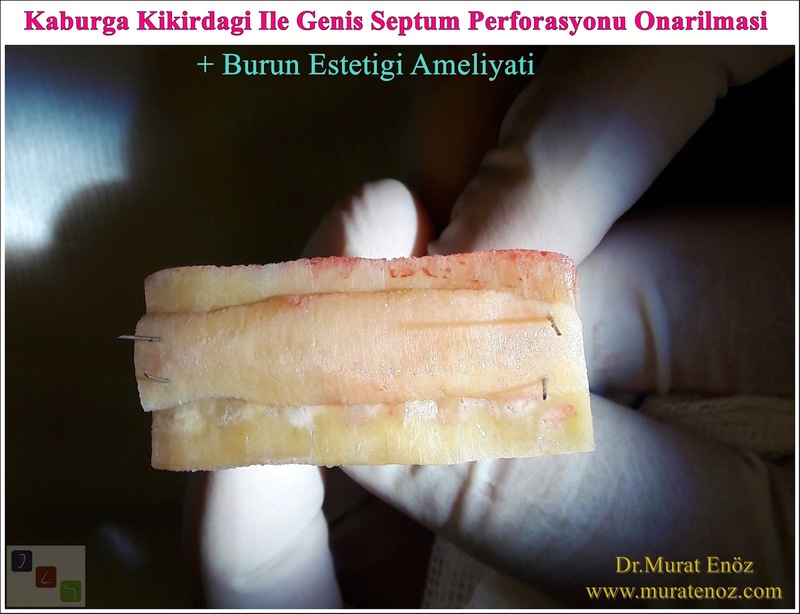 Frontal and wide septal perforations are more symptomatic, but posterior perforations tend to be less symptomatic due to the moisturizing effect of the nasal turbinates. 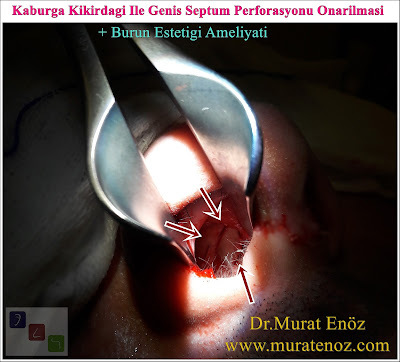 Anterior endoscopic rhinoscopy during the nasal septum hole can be easily seen and diagnosed. 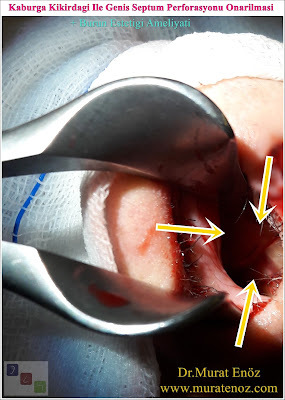 In the endoscopic nasal examination, the perforation configuration, the presence of crusting, and the irregularities of the mucosa structure can be assessed. Occasionally, septum perforation can be detected incidentally on the nasotomography taken. 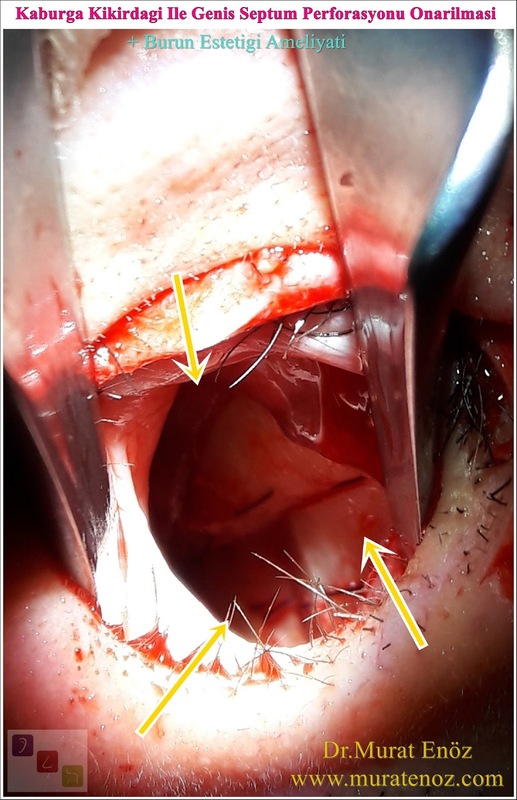 Nasal endoscopy provides more information about the assessment of the entire septum. 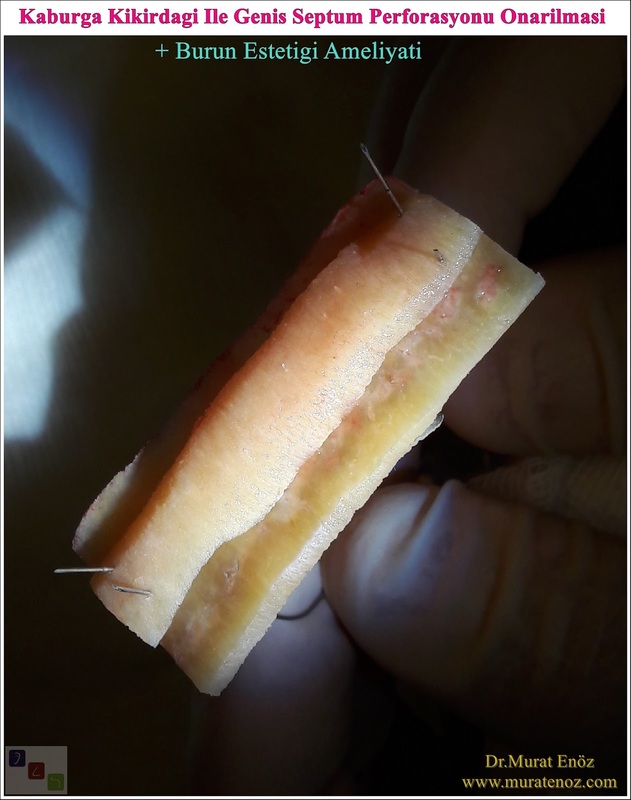 Palpation with a septum cotton tip applicator or a blunt thin metal tool can give valuable information about the quadrangular cartilage integrity in the rest of the septum. 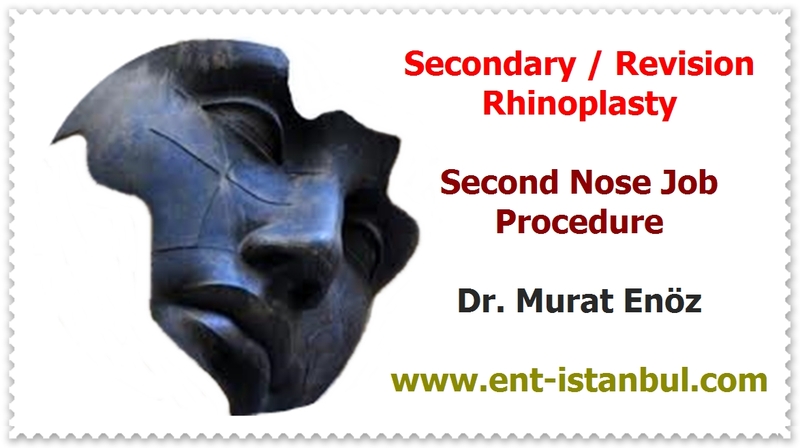 Dr. From Rami K. Batniji tarfi, the diagnostic algorithm of perforation of nasal septum is defined. 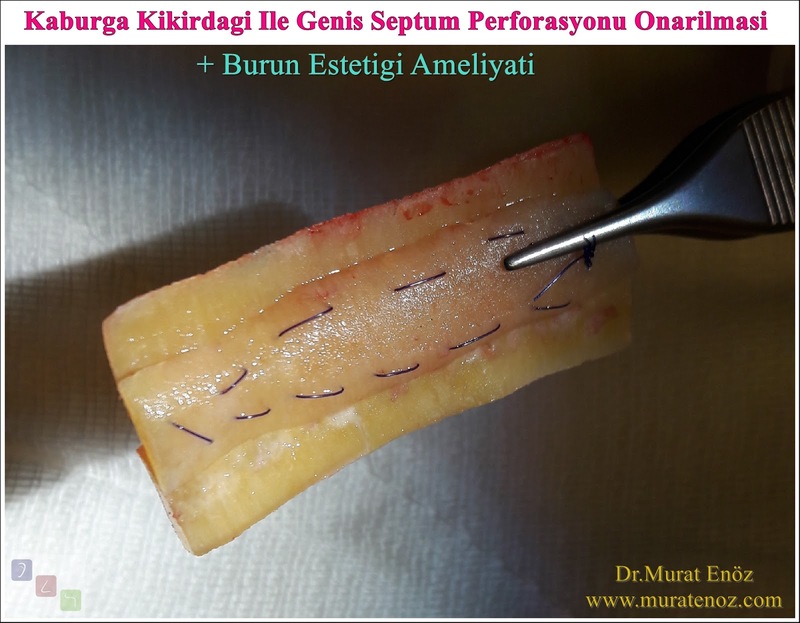 A modified algorithm for a systematic evaluation of septal perforation. Preoperative and postoperative radiologic specific study and imaging techniques may be required for septal perforation to obtain as much information as possible about the paranasal sinus tomography or Magnetic Resonance Imaging, nasal structure, and the frame, especially as imaging modalities. The causes of the nasal puncture may be local or systemic diseases. Nasal septum perforation may occur due to multiple causes, such as traumatic causes, iatrogenic causes, infectious causes, degenerative diseases, overuse of vasoconstrictors, cocaine abuse, and more recently the use of chemotherapy agents. 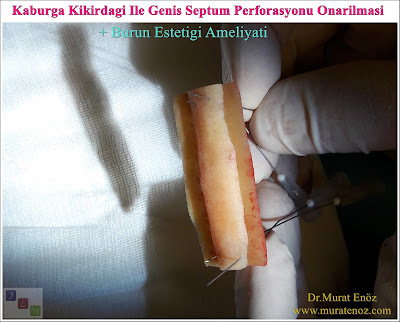 Surgical repair is generally not recommended for perforations that do not cause subjective and functional problems. 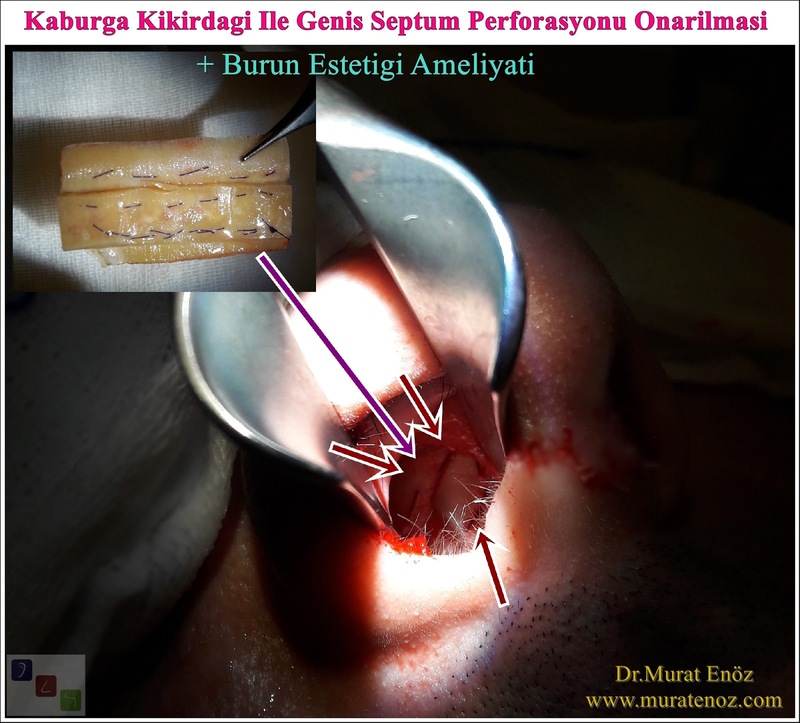 Surgical complete repair of large septum perforations is more difficult than other lesions. It determines the need for surgical care and considers what is still best available. Apart from surgical treatment, septal button application is also available. If the price of the septal button is low compared to the surgical treatment, it causes disadvantages such as causing the hole to grow, causing foreign body reaction and infection. 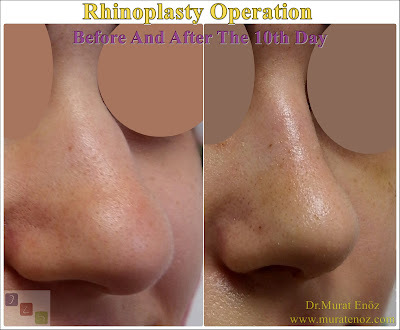 In patients with complaints of nose instability, intranasal moisturizing medical treatment can also be given. 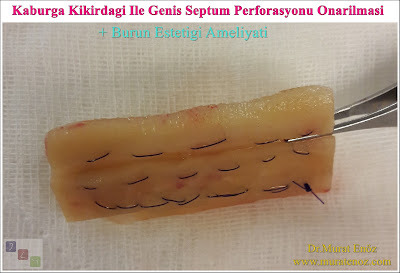 Many surgical techniques have been proposed for repair of perforation, but the results are often insufficient for large perforations (for complete closure). Permanent millimetric repair of the defect in large perforations is not always possible. It may be necessary to use cartilage tissue as grafts from other areas such as the ear or rib. 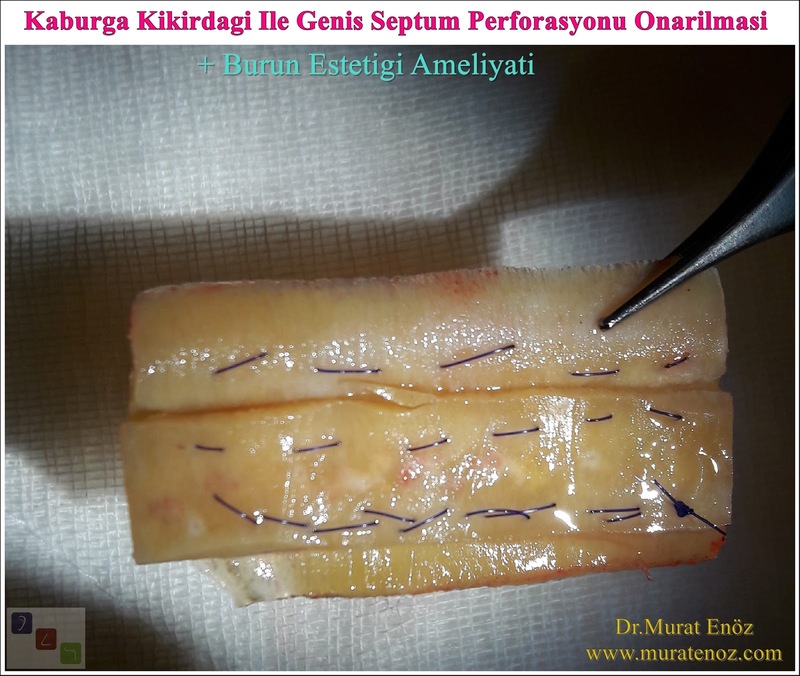 Septal perforation is affected both by the repair procedure and the method used during the intervention, as well as by the care of the patient before and after the operation. The open approach is thought to be more likely to provide perforation repair in cases of large septal perforations, dominating the perforation margin and providing routine surgical dissection. 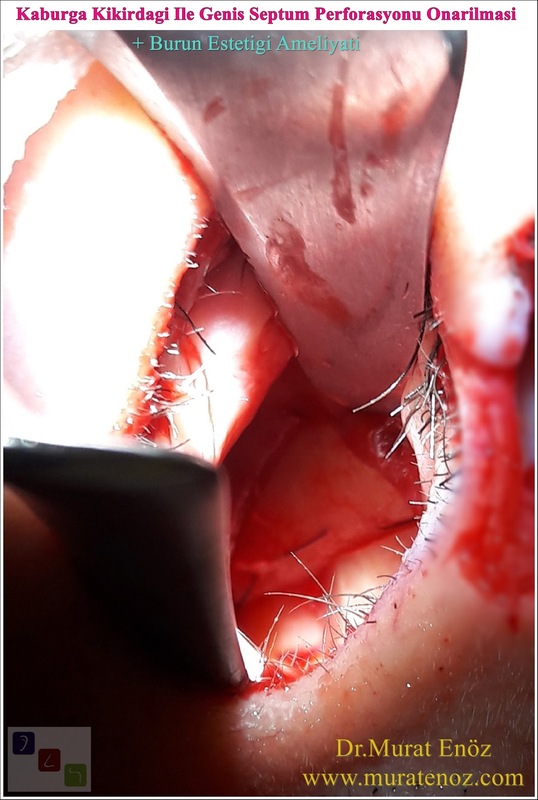 You can find more detailed information about nasal septum perforation and links to the pre- and post-treatment images in the "Resources" section below. 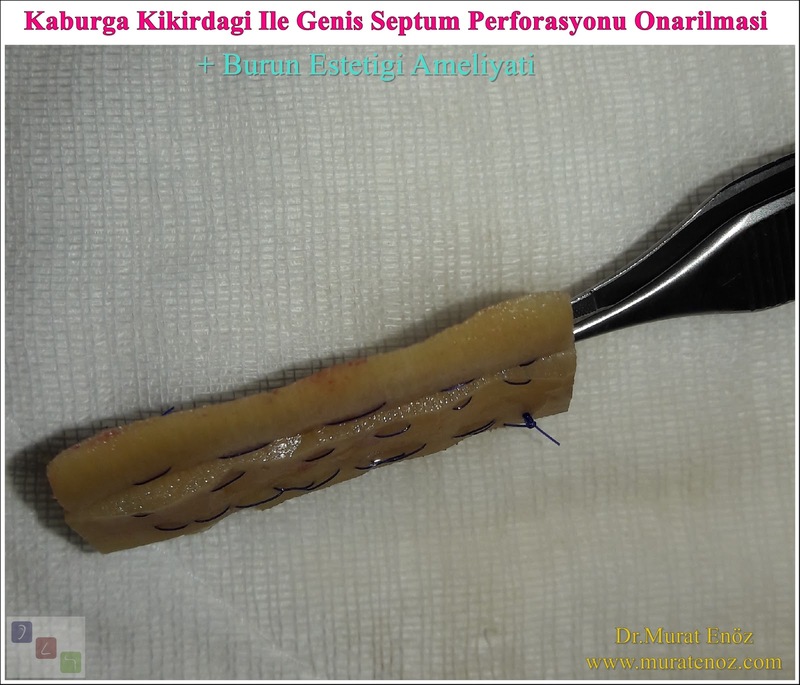 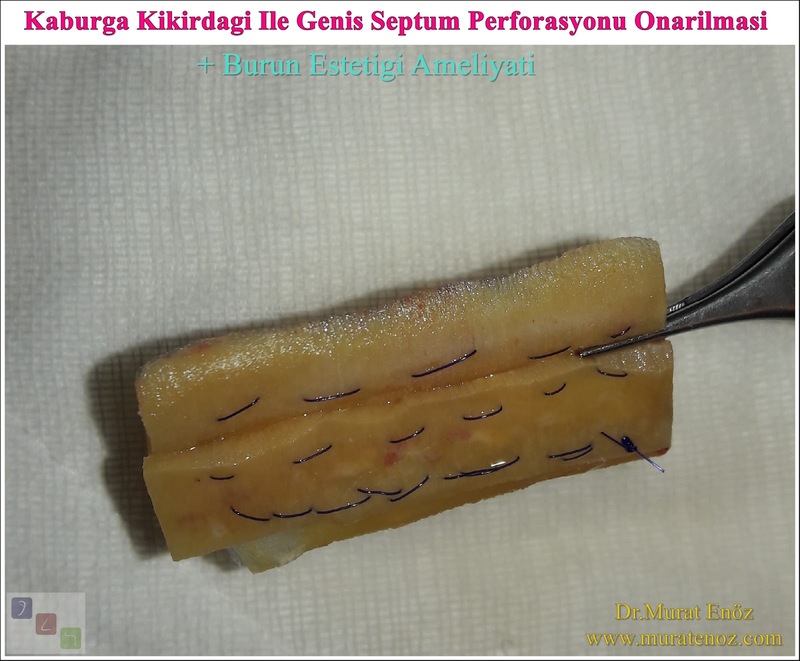 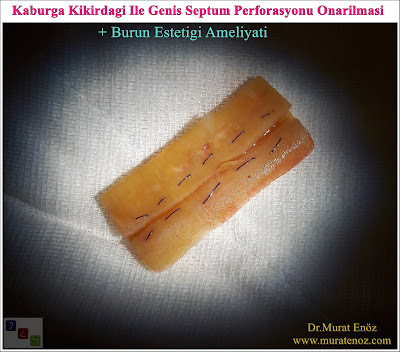 Patient with extensive septum perforation (approximately 3.5 cm x 2 cm in size, ovoid shaped, septum hole) was operated with septum perforation surgery and nasal aesthetic surgery with the help of grafts prepared from rib cartilagin. In the procedure, cadaver-derived and irradiated rib tissue was used. 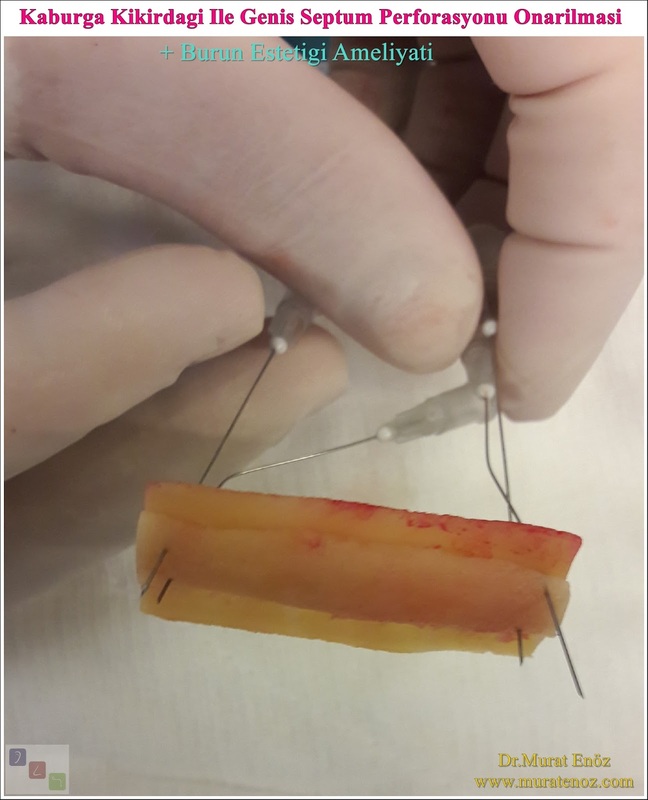 Fine cartilaginous grafts prepared from rib cartilage were inverted and stained with soluble 4/0 PDS material. 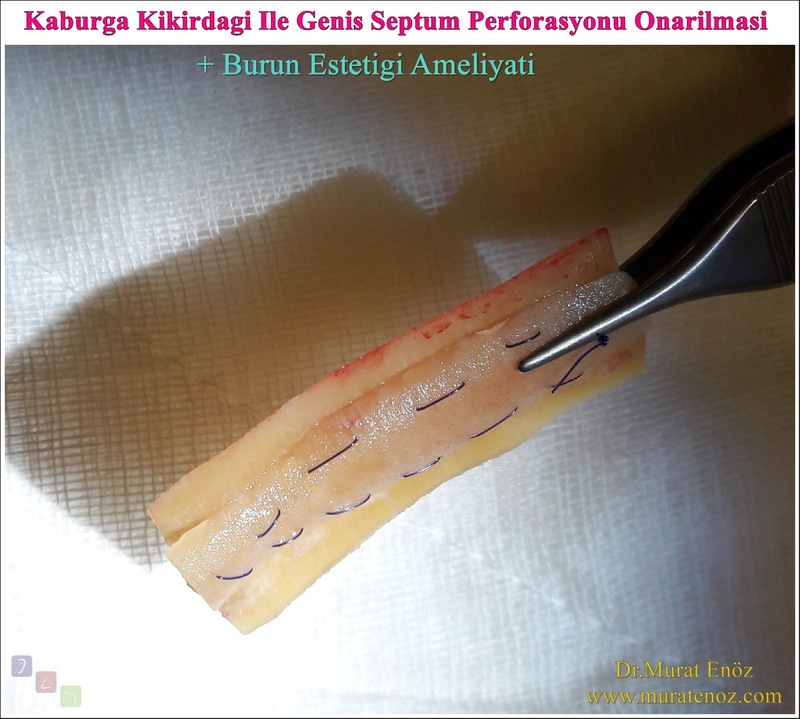 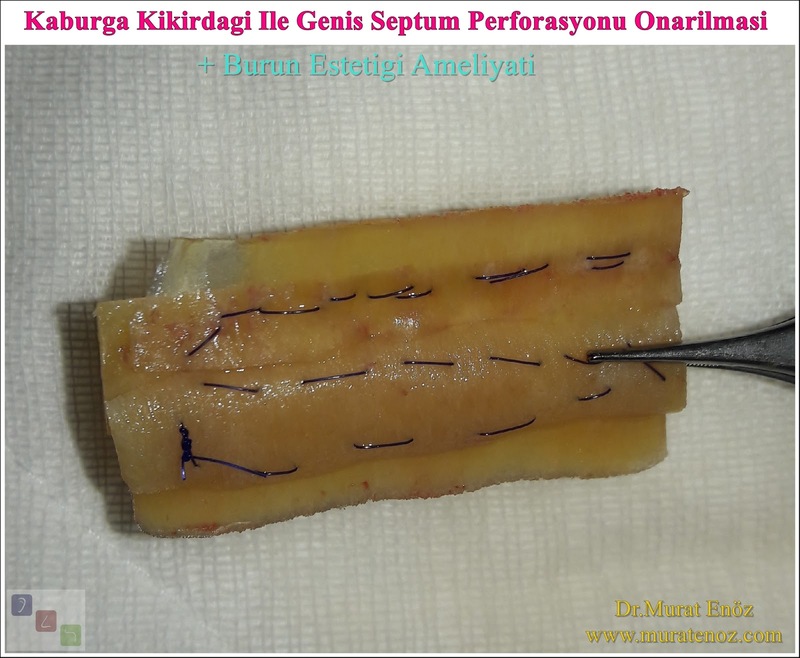 During the open technique of nasal aesthetic surgery, the graft prepared from the rib cartilage was placed vertically in the middle of septation and perforation. 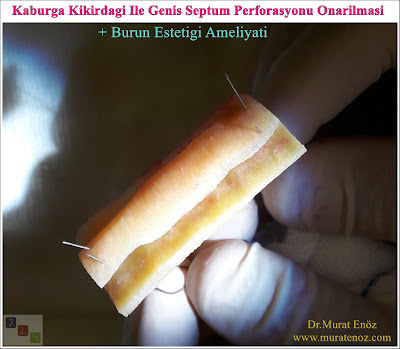 The local mucosal advancement fingers were shifted and sewn on the base of the nose. After the nasal aesthetic operation was completed, a nasal silicone splint was placed in each nostril and the nose bandaged after the procedure.